We will provide elite training for athletes pursuing the National Team and NCAA/USCSA College programs. We will introduce athletes to skiing as a life-long sport regardless of socio-economic background. We will respect athletes and their parents. We will provide affordable, equal-opportunity training without favoritism or elitism, giving all athletes a fair chance to develop without labels that influence confidence and growth. Based in Colorado, Rocky Mountain Ski Racing is an Alpine only program that helps athletes in U16 and above reach the attainable goal of skiing at the national and international team level, NCAA/USCSA, and introduce a new generation to the joy and purposeful life skills learned in gates and on the snow. Through skiing, we will help prepare a new generation of leaders for our communities and enable this wonderful sport to thrive for generations to come. United States Ski Coaches Association Certified, First Aid Certified, and SafeSport trained, we work with anyone from Ski Clubs to National Teams. Training planning, strength, mental training, and team building, Rocky Mountain Ski Racing will help you or your team stay current in your approach and execution. Competent Level 500 Master Coaching (United States Ski Coaches Association) with ongoing training for coaches by founders. On-snow, 10-month access to world-class terrain in Summit County Colorado, utilizing varied terrain at multiple resorts in order to best prepare athletes for races. Affordable – prices will be in line with the lowest priced clubs in operation in Colorado. High school, college and career counseling. Leadership workshops by high-achieving adults that leveraged sports to build confidence, self-esteem, goal setting skills and strong work ethic. Provide inspiration to athletes and help them balance life goals of education and career paths with ski racing. Program directors, founders with reputations for decades of integrity, honesty and transparency with athletes, and an unwavering commitment to uphold high standards for coaches, staff, and participants per SafeSport, and USSA code of conduct. 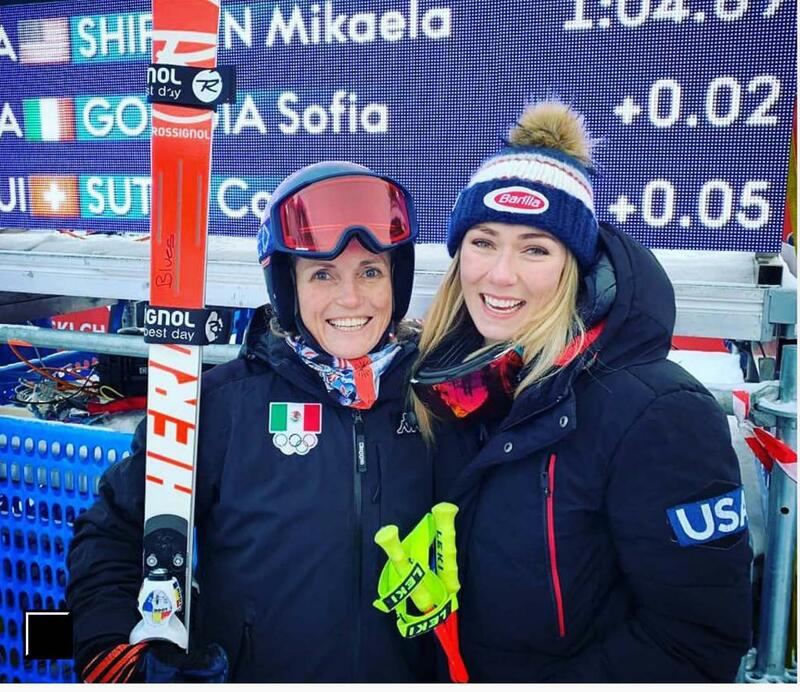 Congratulations to our special projects coach Sarah Schleper, and World Super G Champion Mikaela Shiffrin! Sarah finished in 29th place in the women's Super G behind champion Mikaela Shiffrin. Jenna McMurtry, Abigail Murer, Sarah Schleper, Jordan McMurtry, and Camryn Glick, missing Devynn Martin. 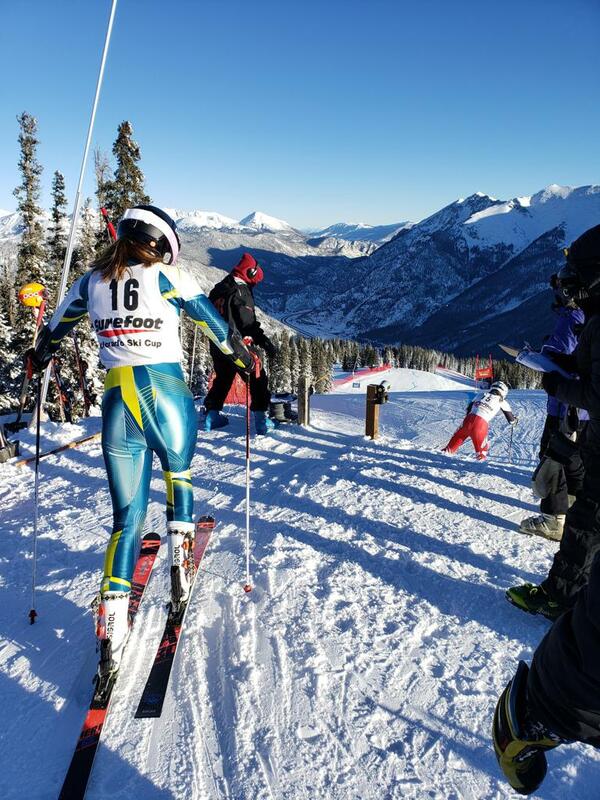 January 23, 2019, Silverthorne, CO – Rocky Mountain Ski Racing, a newly formed Alpine-only team operated by John McMurtry and Crawford Pierce, landed several podium and top 15 finishes at the Aspen Wilder Dwight Speed Series among FIS women athletes. The series consisted of two Downhill races and two Super G races for both men and women. 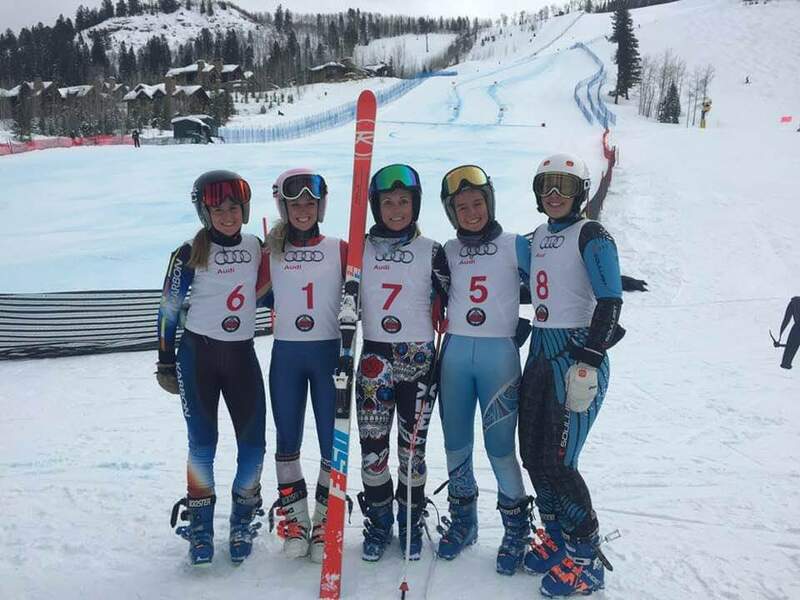 Sarah Schleper, a coach/athlete for Rocky Mountain Ski Racing, took first place finishes in Downhill and Super G, and Abigail Murer, took second place in both downhill and Super G races. Others from Rocky Mountain Ski Racing also finished strong in both events as followed. Sarah Schleper, a Colorado native, is a 5-time Olympian and World Cup Champion, racing for the US Ski Team for 17 years. She joined Rocky Mountain Ski Racing as a special projects coach and currently races World Cup events for Mexico. Abigail Murer, from St. Louis, MO, has been skiing with Crawford Pierce for the past 4 years, and raced speed events at Jr. World’s last season. She is one of two non-US Ski Team athletes to have earned that honor. 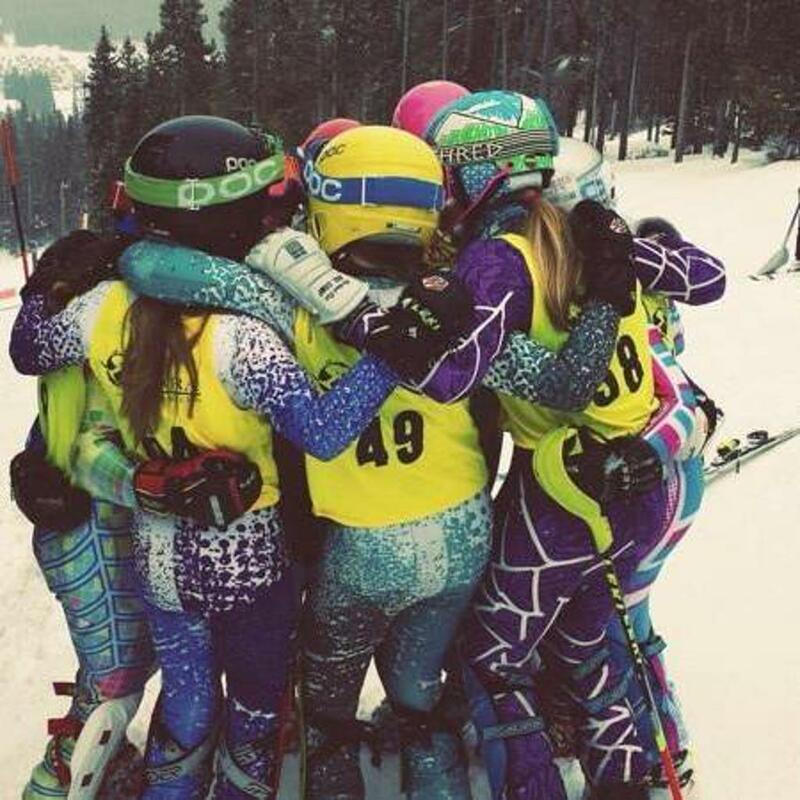 Rocky Mountain Ski Racing is dedicated to providing an affordable, fair and inspiring experience for Alpine racers, U16 and above, looking for a dedicated program to help them excel. The mission is not just to provide excellence in training but to enable more kids to stay in a sport that is cost-prohibitive for many families. By enabling kids to stay focused on sports throughout high school and beyond, Rocky Mountain Ski Racing hopes to help develop strong, productive future leaders. For more information about Rocky Mountain Ski Racing email JohnMcMurtry@rockymountainskiracing.org. Our mission is to perform integrative sports research with young athletes to maintain and promote their athletic performance, health, safety and quality of life. ©2019 Rocky Mountain Ski Racing / SportsEngine. All Rights Reserved.